The cold evening here in Pratteln is a world away from the kind of weather Portugal’s Sinistro are used to. However, the band bring plenty of heat to their opening slot and despite seemingly missing a member, they still intrigue many here tonight. The addition of Patrícia Andrade on 2016s sludgy Semente was a stroke of genius and her dramatic style coloured by broken marionette movements only add to the spectacle that they bring to the stage. Time will tell whether they can echo the success of last year’s record but with Sangue Cássia coming out early in 2018, we won’t have long to wait. Pallbearer’s star has been on the rise for the seven years they’ve been releasing music and it will only continue to exponentially increase as time goes on. Beginning life as a pretty standard funeral doom style band, they’ve slowly been incorporating other elements into their repertoire with synths, progressive leads and a healthy dose of emotion creating music that speaks to many here. “Worlds Apart” begins their time on the stage in monstrous fashion and Brett Campbell’s instantly recognisable voice soars over the venue with a confidence that is soaked up by the audience. “Dancing in Madness” from this years Heartless thrills with its synth-led introduction and the clever tricks that Pallbearer use on the album in order to never repeat any section twice. It’s glorious but it’s set closer “Foreigner” that brings about the biggest response with a song that speaks to many on the sadness that is held inside when you’re feeling alone. Having a career that has spanned nigh on thirty years is a tough task to achieve, but to get there with 80% of your original members, still be relevant and still sound as vital as you did back when you first started is a hard trick to pull off. Paradise Lost do that and much more and with Medusa receiving critical acclaim after its release a few months ago, tonight is their chance to showcase just how exciting their new music is, while also delving deep into an extensive catalogue to please the older audience that have gathered here tonight. 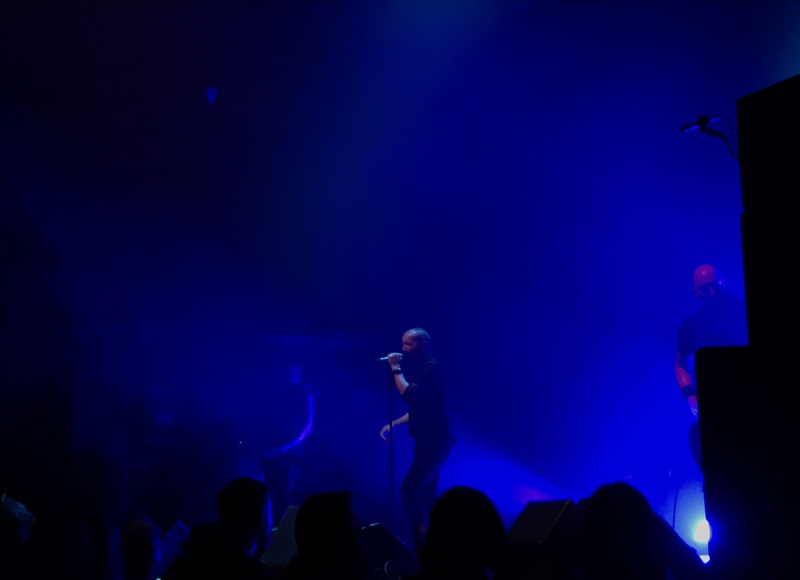 “From the Gallows” from Medusa sets the tone perfectly and in Nick Holmes the band have a frontman who not only has the voice, but also the command. His sense of humour is wickedly dry and while some of the jokes may be lost in translation on this Swiss crowd, they still hold each word in reverence and it’s during a beautiful rendition of “Faith Divides Us – Death Unites Us” that this is all the more obvious. Holmes’ clean vocal rings out over the vast hall and the fluid transition into the gruff, death/doom style is almost magical. It’s difficult to believe one person can move so easily from one style to another but Holmes makes it look so easy. 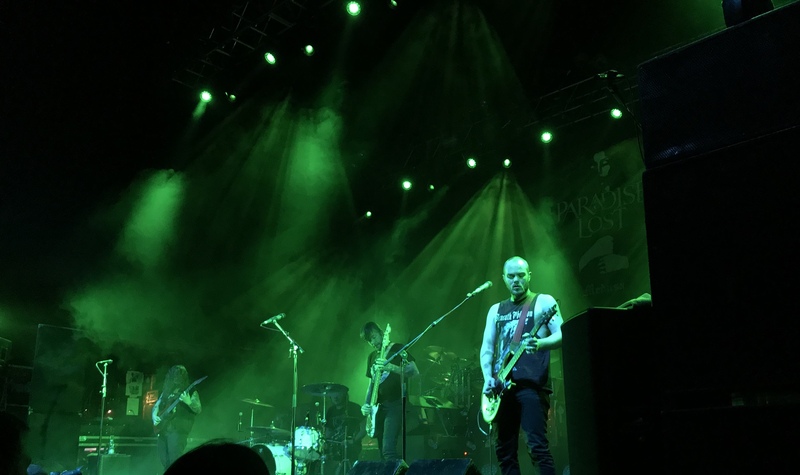 “The Last Time” closes out the show in all its gothic glory giving Paradise Lost enthusiasts a glimpse of the band as they were. It somehow still sounds refreshing and it surely won’t be the last time we see this legendary band.